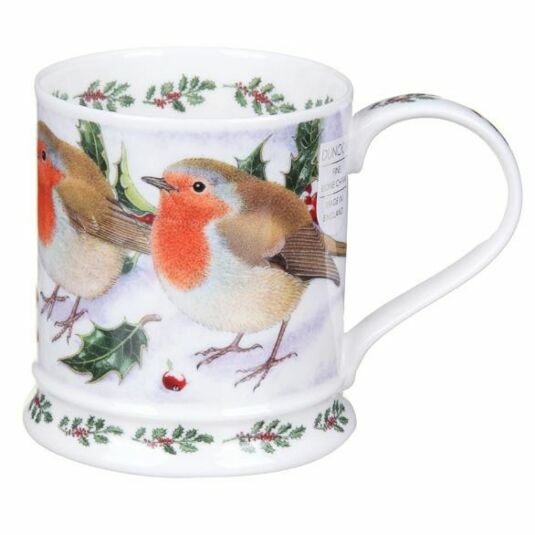 Our British National Bird, the Robin, is delightfully depicted on this festive Christmas mug from Dunoon. The downy plumage of the bird is minutely painted with tiny brush strokes, showing off the red breast and the more subtle brown wing and tail feathers. Sprigs of holly decorate the ridged base and inner rim of the mug. The exquisite illustration in white, green and red tones make this a lovely Christmas gift, perfect for steaming hot chocolate or spicy mulled wine. Iona is a tankard shaped mug, with a flared base which has a ridge for extra design detail. 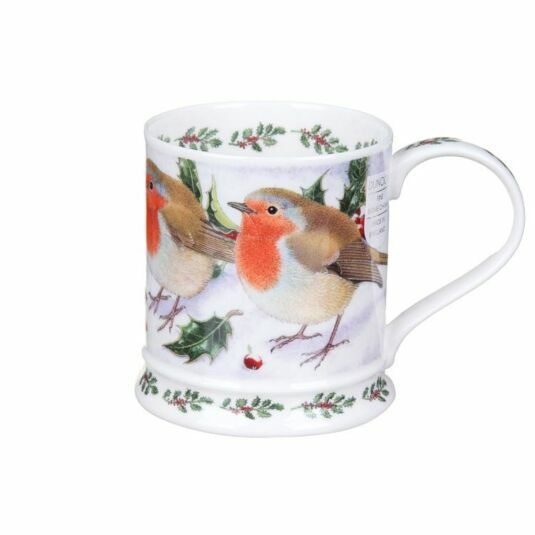 This fine bone china mug holds .4l, about 2/3 of a pint, so is ideal for your morning coffee or afternoon tea. The generous handle makes it easy to hold and its comfortable proportions will make it a welcome addition to your mug collection.